The modern enterprise today is presented with unlimited opportunities when it comes to utilising technology to deliver better outcomes for customers, stakeholders and shareholders. The pathway to digital transformation is paved with a strong understanding of the desired business outcomes that lay the foundation for the execution of projects, solutions and programs of work. As with many transformative pursuits within the various parts of an organisation, it’s data that ultimately drives the insights and actions that create change. For many enterprise customers, this digital strategy starts with understanding the business outcomes they are looking for, and matching various solutions that address these targeted areas for business improvement or opportunity. Many of these will be well-established solutions to widely-needed requirements such as CRM, ERP, marketing automation, BI and data processing. These come from a variety of vendors (both specialists and broad technology providers) and over time, have required various levels of integration with each other to build stronger links between the data that each of them work with. This has been strongly enabled by the Cloud and the now-expected support for API’s. Enterprise customers have been relying on integration capabilities from IPaaS (Integration Platform-as-a-Service) and ESB (Enterprise Service Bus) products and vendors for nearly 20 years. The need to integrate various business systems and application, and automate business processes and workflows has increased with the growing complexity and fragmentation of the application landscape. The Global Integrated Platform as a Service (IPaaS) Market was valued at USD $499.5 million in 2017 and is expected to reach USD $1,528 million in 2025 (link). However, the next wave of transformative technology is now making its way to organisations to build on top of what they’ve established. Many relevant emerging technologies such as the Internet of Things (IoT), Artificial Intelligence (AI) and Machine Learning (ML) have been gaining momentum in recent years; some have yet to truly break through the hype, while others have already been largely democratised and brought into the mainstream. 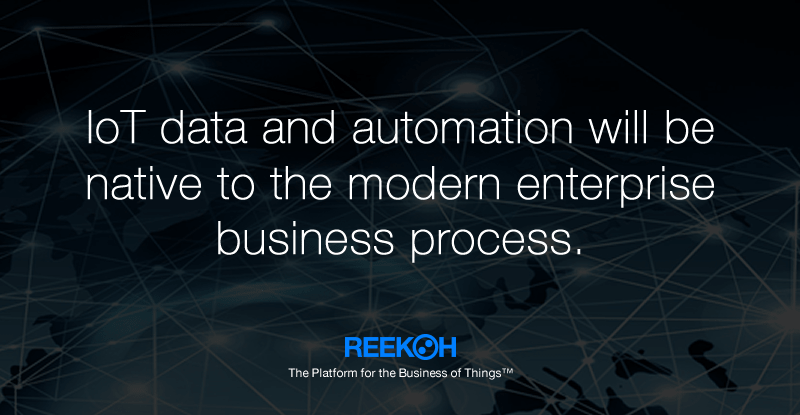 Combining these with an organisation’s existing technology investments, business systems, applications and workflows is the challenge of the modern enterprise. Further, achieving this drive for further innovation needs to come in at a cost that is manageable to support a phased approach to adoption, and in an agile way that allows business to move more nimbly through the widening choice of technology and vendors available to them. Download the full “Integration for the Modern Enterprise white paper” here.